Our shop in Montgomery, TX uses the latest collision repair technology to get you on the road safely and quickly. Whatever your wrecker, towing, or collision repair needs, look no further than Stowe's Collision, get in touch with us today! Stowe's Collision has been serving the Montgomery, TX area and surrounding communities with quality auto body repair and paint. 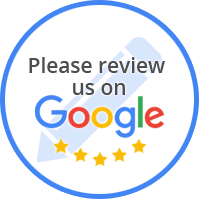 We not only pride ourselves in our expert collision repair but also our excellent customer service. Our work speaks for itself; which includes complete paint service with limited warranty on collision work, uni-body & frame repairs, hunter wheel alignment machine, glass replacement and free estimates any time. We restore your vehicle back to factory specifications using state-of-the-art equipment and quality craftsmanship. Our Technicians are highly trained and ASE Certified. Call us today and let us help you restore your car! “Very happy that I brought my car to Stowe's. At first, I was not sure where to get my car repaired after my wreck... Stowe's was close to home and I had a good feeling... So I gave it a try. It was great choice! They were very helpful and went above and beyond to help me. Real nice people. Not only that but the work done was amazing! Every detail, even the small one's I had were fixed perfectly and it was done quickly. My expectations were totally exceeded. I would recommend anyone to go here. I know it's where I will go again next time. 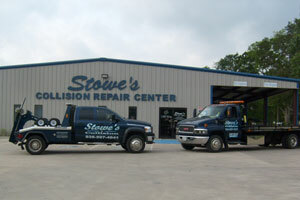 “Stowe’s did an amazing job on my daughters car repairs. Our family dog chased a critter up under the car. My dog wanted the critter in a bad way and as a result did quite a bit of damage. “These people are great! I have been a customer of there's for as long as I could drive.